I’ve spent the last day or so going getting Assignment 4 ready to post (snail mail post, that is). Each assignment the practicalities of that get easier – I reuse folders, have tags and labels ready to go, standard document formats on the computer etc. This means I can focus on reviewing what I’ve done over the last three months, plus the challenging task of editing the material down to fit postage limits. Overall I’m pleased with what I have to show my tutor, I think I have made solid progress – so it will be interesting to get Pat’s feedback since she is very good at blending positive feedback with prods at the soggy bits and suggestions for further stretching. A review of Project 8 work can be found on 12-Oct-2012. Project 9 is covered on 16-Nov-2012, although that focuses more on the final piece of work. Looking back, major themes for me during the assignment have been trying to work more visually and intuitively (not so easy with the weaving component! ), and trying to let go and trust the process we are being taught (sorting yarns, using mood boards, more detailed yarn wrappings…). Concerned that I might relax in my “safe place” of yarns and weaving, I also decided to challenge myself with the materials I used. All of this has made me uncomfortable at times, but I think I’m going in the right direction. The skills and equipment from my weaving past certainly helped, but I stepped well beyond my old boundaries and techniques. I’m excited about future possibilities and exploration. Photos of all my sketchbook work during this assignment can be seen on this page. I’ve tried to mix up approaches, to keep it fresh, but mainly at the moment it relates to project work or whatever reading I’m doing. The Research Point was very interesting and I’m continuing reading in the area. 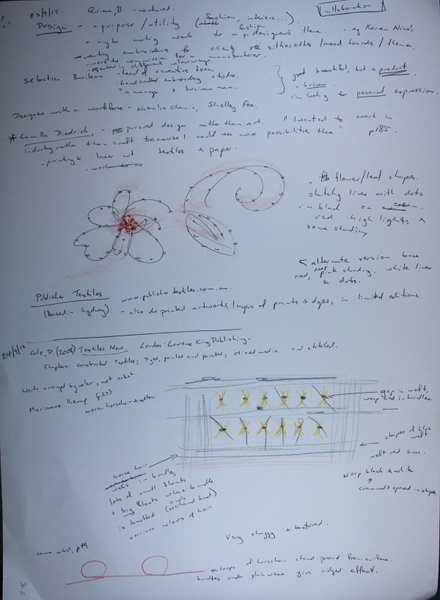 I’ve made a little progress on my themebook – just a few sketches and collecting newspaper articles and comments. It’s mostly been thinking, trying to isolate a particular aspect or focal point. On the other hand I’ve also been trying to keep an open mind, not zero in on anything too quickly. It will be good to concentrate on this in Assignment 5. 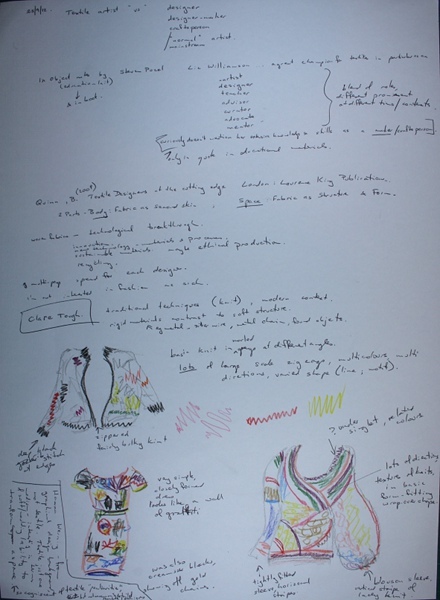 This post is the last of Assignment 4’s research into Textile Art. There are links to all the previous posts on my last entry, about Julie Ryder (posted 18-Nov-2012). 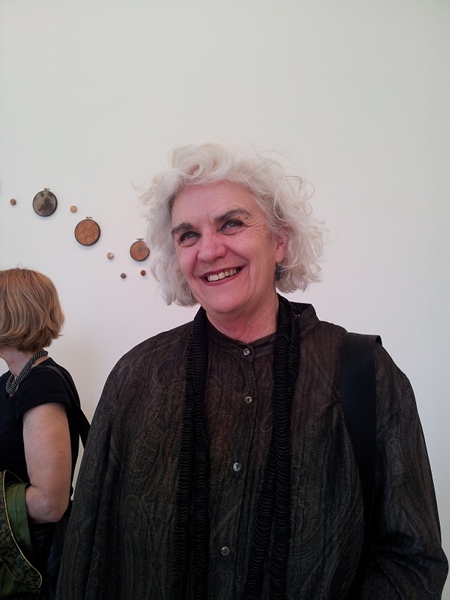 The photo shows Liz Williamson at Barometer Gallery for Julie Ryder’s talk. I’m rather appalled to find that I don’t have photos of Liz’s work, so I have pushed the photo taken on my mobile phone to its limits to provide the closeup on the right. There are many more images and links to a huge amount of information at http://redobjects.unsw.edu.au/people/liz-williamson/. The focus of this research point is the artist’s work – a description and the concepts expressed. The piece in the photo is from her ‘Loop’ series. It is an continuation of an ongoing theme of protection. I think it is a wearable variant of Liz’s ‘Sac’ series – doubleweave containers or nests, expressing concepts of enclosing, wrapping, shelter and protecting. The colours are dark and earthy, the materials include leather and silk dyed with black henna. 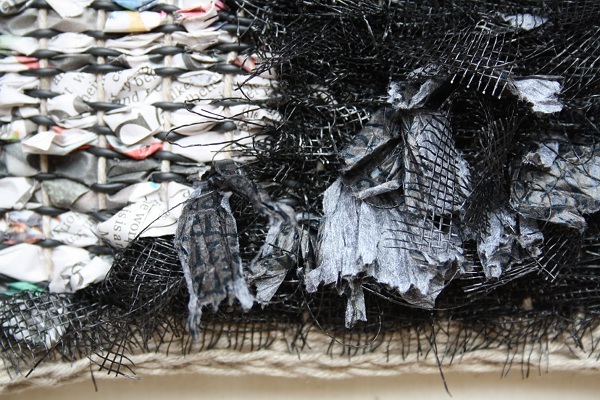 Another concept Liz has explored in her work has revolved around darning – usually an invisible form of repairing and prolonging the life of a textile, in her work made visible. Darns are records of marks, but worked to be unseen – often by women who themselves are invisible in the Australian history / mythology of nation-building. Liz has presented this very domestic work in gallery settings. 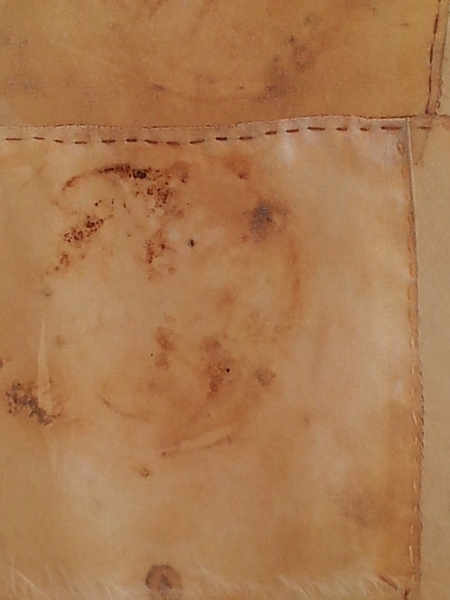 The darned cloth has a memory of the body that wore or used it embedded in its surface. 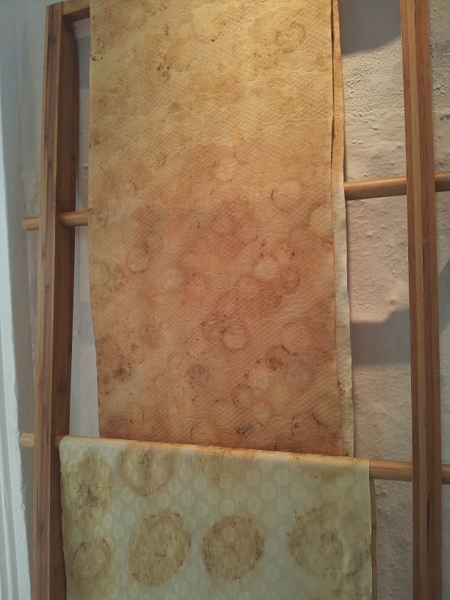 Liz has also recreated the texture of darning marks in jacquard weavings, enlarged, embellished and exaggerated, becoming visible works of art. 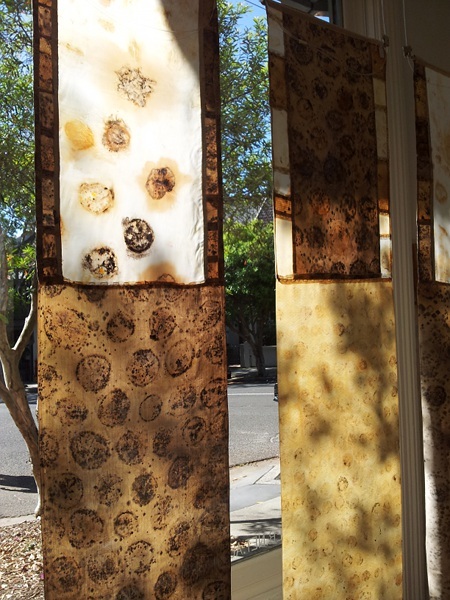 Darns and worn, deteriorated cloth can also be viewed as a metaphor for the aging that is part of all life. In her ‘Worn’ work Liz explored the processes of life and experience, aging bringing maturity, wisdom, remembered experience and a different kind of beauty to that of youth. This is not nostalgia or yearning for some golden past. To me it appears not a celebration or glorification of the past, more an honouring of it and recognizing that our present will soon be past. 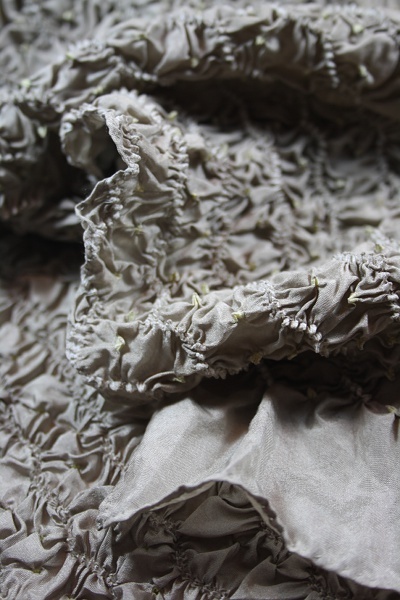 The resulting cloth has “a beauty of fragility, of suffering, of survival, and essentially of memory” (Lamb, 1996). Liz is a true master in the craft of weaving and has been recognised as a Living Treasure, a Master of Australian Craft. 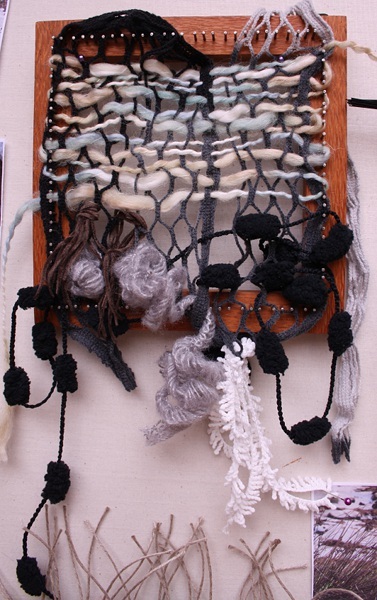 Since first enrolling in an introductory weaving course in 1977 she has studied and experimented with a wide range of weave structures and materials. She is technically very accomplished and has been published in mainstream weaving books such as her fulled seersucker scarves in The best of Weaver’s: Fabrics that go bump. 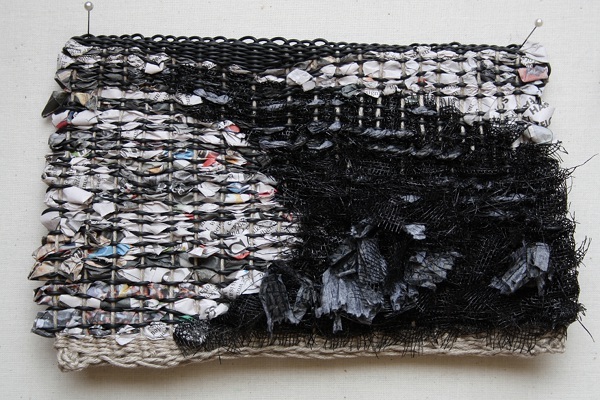 Liz continues to push the boundaries of contemporary weave and was one of the artists included in the recently published Warp & weft: Woven Textiles in Fashion, Art and Interiors by Jessica Hemmings. 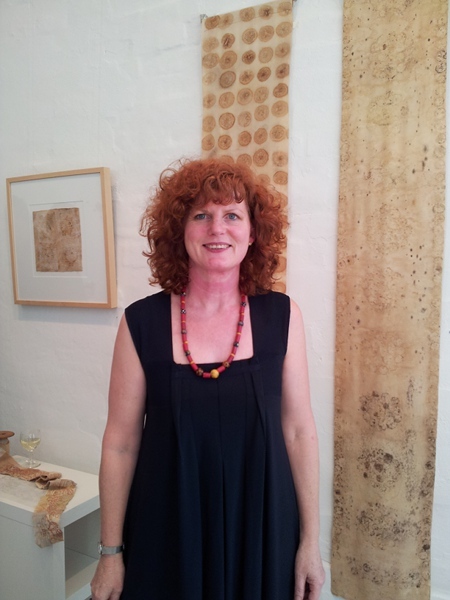 Liz holds academic credentials – MFA (COFA), B Art : Textile Design (RMIT), B Economics (Melb Uni) – and is currently Head, School of Design Studies at COFA (College of Fine Arts, The University of New South Wales). I have heard she will become an Associate Professor in the new year (staff profile here). Clearly her role at COFA involves teaching, but I prefer to refer to the class I took with her at Sturt early this year (see post 14-Jan-2012). The photo shows work that I and my friend Desdemona did during that class. Des and another class member had no previous experience of weaving, but were able to produce beautiful work using advanced techniques such as doubleweave in neoprene in just a few days with Liz. 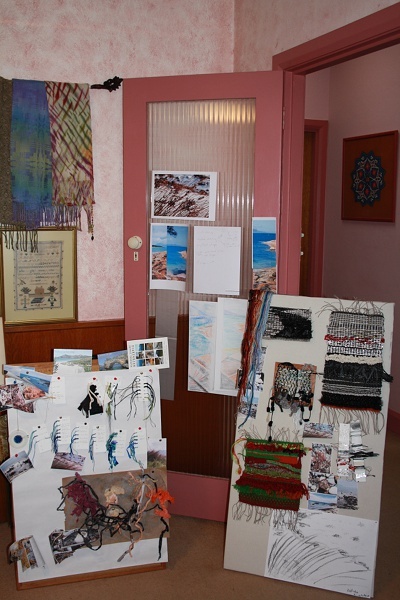 Liz also inspired us with pieces from her extensive collection of textiles from around the world, plus a pile of books she shared with us during the week (my ongoing interest in Sheila Hicks was one result). The photo on the left shows a scarf from Liz Williamson: Asian Selection. Liz has been involved in a number of textile development projects in Asia, working with local artisans to develop products for the contemporary marketplace. 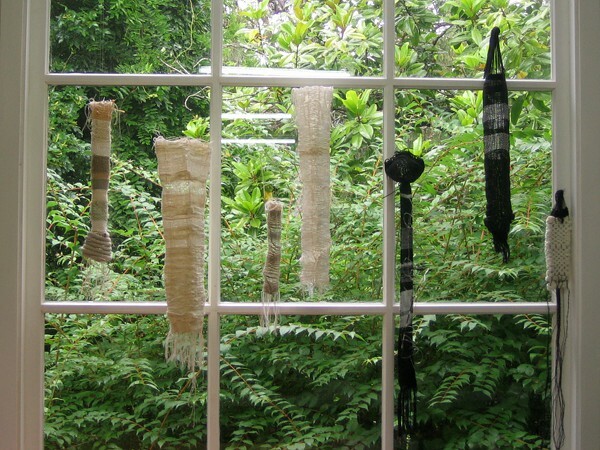 Both her design skills and cultural sensitivity have been required, for example working with a group in West Bengal who create embroidered scarves combining traditional Indian motifs with Liz’s colour palette and sizing (see more at sangamproject.net). Liz promotes and sells the work of such artisans through her Asian Selection. Another example of her collaborative approach is Liz’s participation in Research in Experimental Design: Objects RED Objects, “a collaboration of practitioners and researchers exploring the relationships between design, craft, visual art, and their commentaries”. Last year I attended a symposium organised by the group (mentioned in my post on 16-Sept-2012) which examined methods of collaboration. 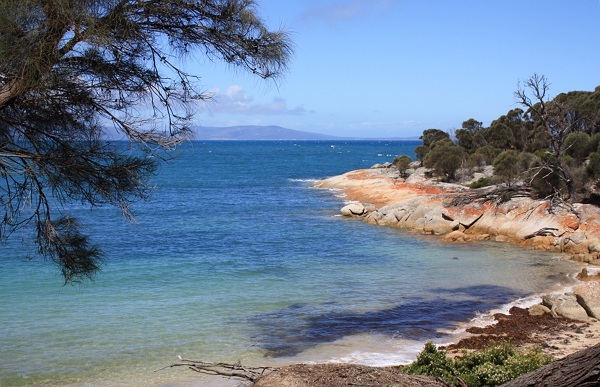 A selection of papers from the Symposium can be found at http://redobjects.unsw.edu.au/research/publications/. 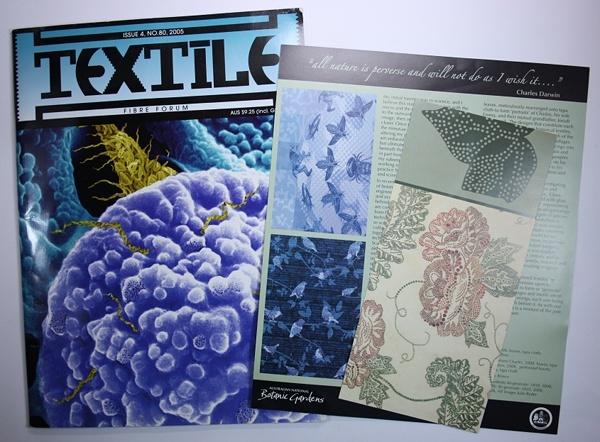 Finally, Liz’s advocacy for textiles and textile art in Australia has included ongoing support of The Australian Textiles Arts and Surface Design Association (ATSADA – the textile group I’m in). Liz has been guest presenter at a meeting, has Opened a number of our exhibitions, and was a major driver and supporter of the Art Textiles conference ATASDA presented in 2008 with Keynote speaker Jane Dunnewold. I think all of that (which of course is just a small selection of Liz’s contribution to textiles) justifies just a little gush! Cochrane, C. (2008) Liz Williamson: Textiles in the Living Treasures: Masters of Australian Craft series, Victoria: Craftsman House. Lamb, J, (1996) “Liz Williamson” in Lamb, J. (ed) Below the surface Goulburn: Goulburn Regional Art Gallery. 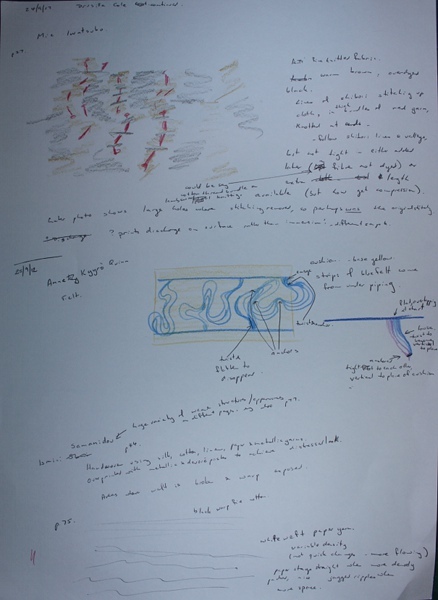 It was interesting to hear how important Process is in Ruark Lewis’s work (blog post 4-Nov-2012). It’s also very important in the OCA course – we not only have to produce work, we have to show our design process and the decisions we’ve made to reach our final product. Actually I think the word “process” has extra nuances that I don’t yet understand. I’ve been working on this final stage of Project 9 for a couple of weeks now and have yet to touch the loom. I’ve changed tack a few times, and feel the need to take stock of the process so far, check that I’m happy with my choices and (not un-importantly!) check that what I’m doing meets the project requirements. 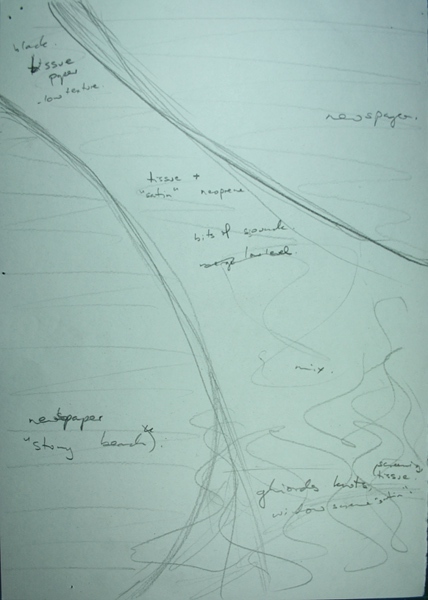 Approach 1: Analyse colour, texture and proportion in source material or sketch(see post 7-Sept-2012 at the beginning of this Assignment to see my past attempts at that). Make a yarn wrapping. Develop into stripes on graph paper. Weave. Of course there’s lots more detail / suggestions / instructions / guidance than that. Approach 2: A more intuitive approach. Select a word – exotic, tribal, rural… Make a storyboard of images. Select areas, thinking about colour, proportions, energy. Select yarns and make a wrapping. Add to mood board, adjust until it expresses the mood of your chosen word. Plan and sequence roughly. Weave to interpret the ideas and express the mood of the word. I had enjoyed working with the photo of seaweed in the previous stage (see post 26-Oct-2012), so decided to use “coastal” as my theme word. 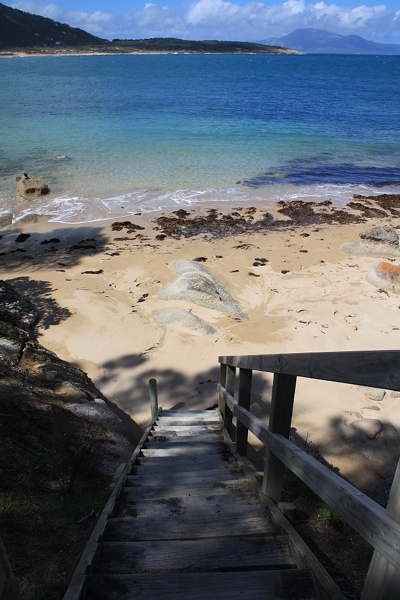 Of course there’s a lot of different “coastal”, and at first I wanted to stay on the same beach on King Island. 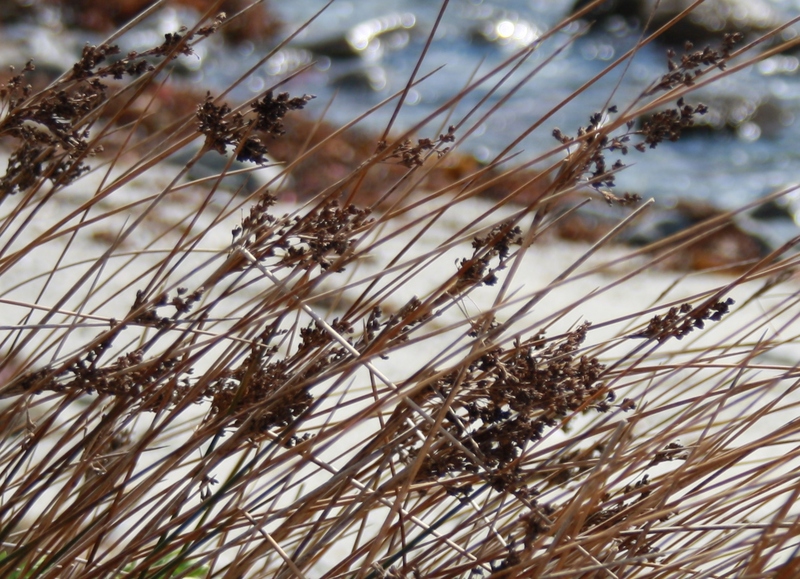 To keep it fresh and different I left the seaweed and moved focus to the water and especially some grasses. So I did a little sketching of the grasses, and tried out some yarns that might work, and pinned them up with photos and other bits and pieces I thought could work in a mood board. 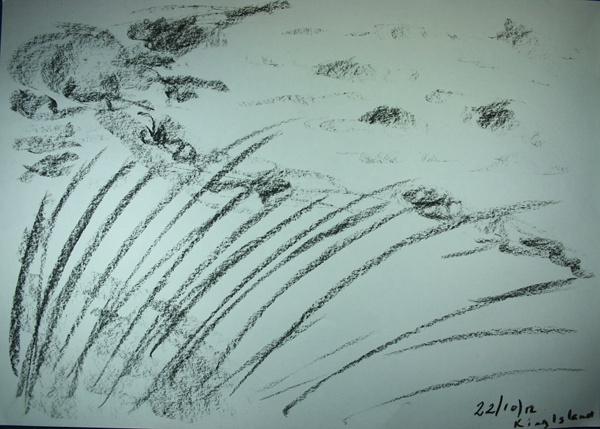 I liked the idea of horizontal stripes of colour and texture in the sand, sea, distant island and sky, but I wanted to get that movement and interest of grass across the image or at least some kind of graphic element based on them that would add an extra layer of interest. I dug out weaving books and samples, was wondering how far I could stretch danish medallions, how else to get diagonal lines… then realised not only was I getting lost in technicalities of weaving, but weaving really isn’t the right process or technique for the image in my head, or at least be only one component of it. Plus it would be a nice change to have some more colour. Time to step back and regroup. 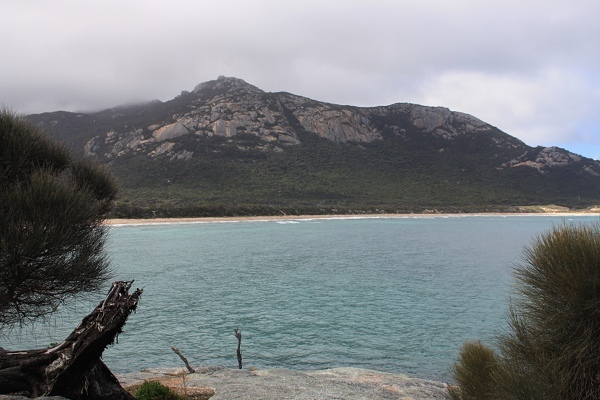 Going through photos from my recent trip (blog post 7-Oct-2012) I was struck by the ones above from Flinders Island. Although the colours look quite different, they were taken maybe 100 metres and 15 minutes apart. A quick sketch (badly photographed in late afternoon light last weekend) looked promising. I liked the combination of colours and the level of abstraction. 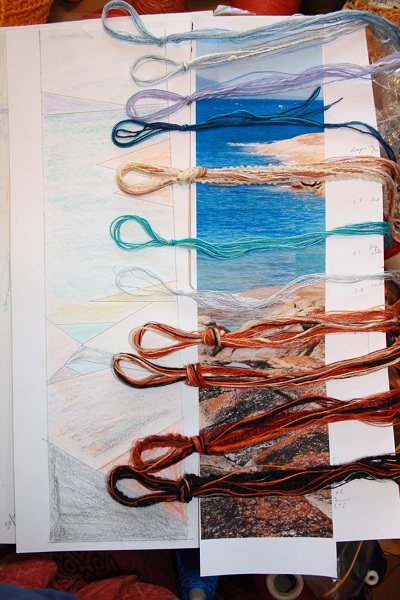 I used gimp to combine elements of the two photos, then drew a more careful plan for the potential weaving. (Sorry, another poor photo). Earlier in Stage 1 I really liked the effect I got when using a dozen or so fine threads of similar colours together (post 14-Oct-2012). I could create different bundles for each shape, and use more textured yarns in the closer areas to help suggest some depth and change through the weaving without being too literal. 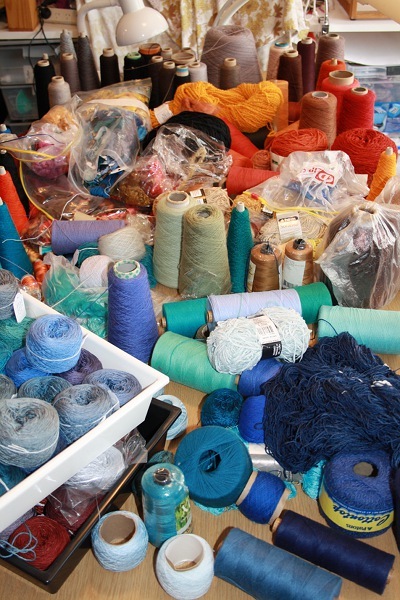 Which has brought me to a worktable covered in yarn candidates, some sample yarn bundles, and a series of mood boards taking over a corner of the room. * yarn bundles following colours in combined photo. Boucles and thicker yarns, mostly matt (wools etc) in close rocks. Finer, smoother yarns behind and more shine. Little or no wool in water. * Limited additional texture in the actual weaving – mostly plain weave, perhaps a bit of soumak or bumps over a knitting needle here and there. * I’d like to get the shapes in my drawing, but may not be able to make them sharp and the slopes nice given the scale of the weaving. If necessary I will change to stripes, but follow proportions and colours as planned. 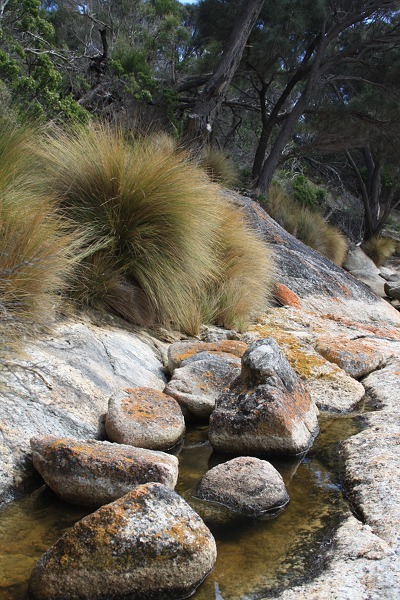 Either way I’m planning horizontal bands for the water and sky – it fits with the image better and provides a contrast the the angular rocks. Writing this has confirmed my suspicion that I haven’t followed either of the suggested processes, it’s been more of a mixture. 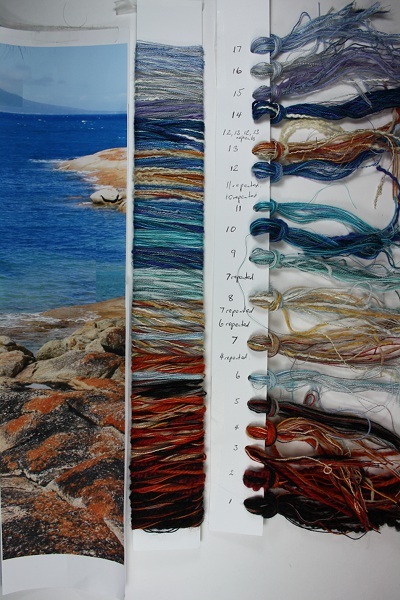 However I feel I have analysed colour, texture and proportions and I have selected at least some of the yarns, I have a fairly clear plan (and backup plan) for the actual weaving, and I have mood board(s) in progress. The one thing that was emphasised in both approaches that I haven’t done is a careful yarn wrapping. 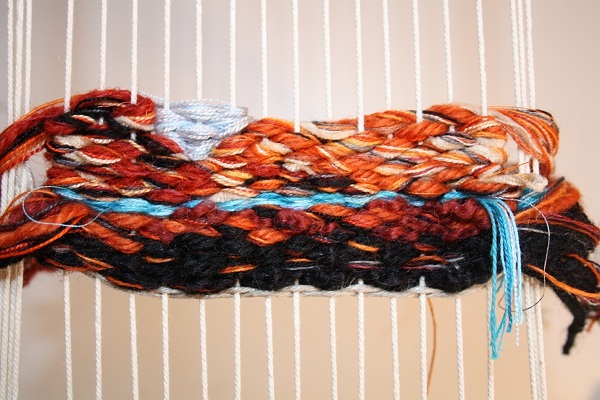 I’m hesitating because I want to see my first bundle or two on the loom – I don’t want to commit to creating a full set until I know if I need to adjust size and composition of bundles to get the effect I want in the weaving. I feel quite encouraged by this review, and confident that I’ve done enough to be able to warp and start weaving. 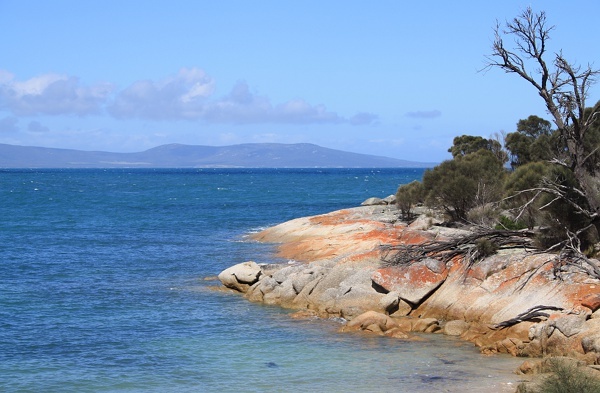 For an extra layer of mood board, I’ll finish with a few more photos taken on the very beautiful Trousers Point on Flinders Island. 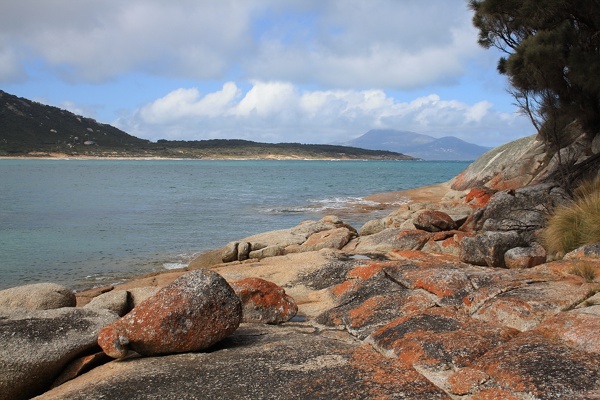 The rock is actually an apricot coloured granite, with bands of orange lichen. 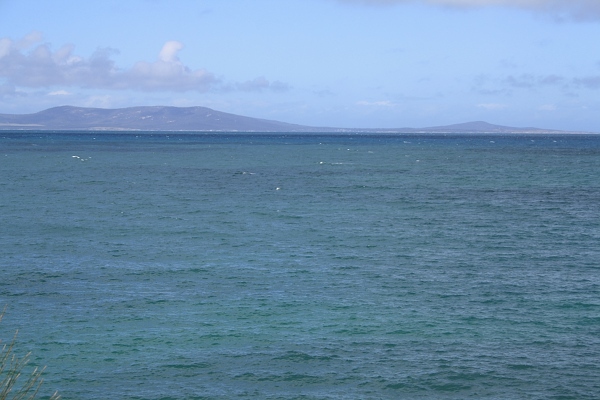 Many of the views are across the waters of Franklin Sound, to the mountains of Cape Barren Island. In the first part of this Stage (blogged 21-Oct-2012) I attempted to create woven surface textures based on some photographs taken on King Island. Next I needed to develop a sample based on some of the most exciting results. 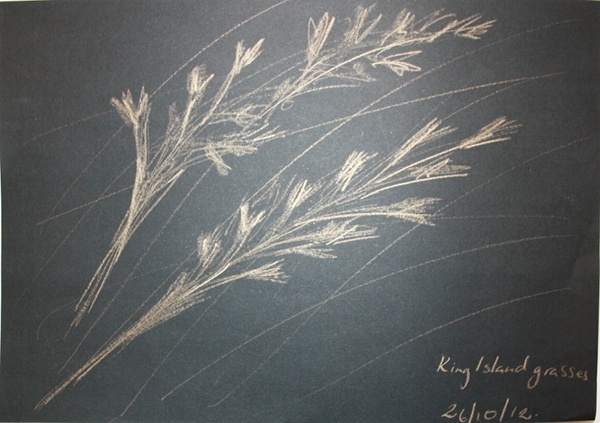 I tried to develop some ideas in my sketchbook, but it was a struggle – too much structure and I lost any connection to seaweed, too little and I had an amorphous blob (see my sketchbook entries from 14-Oct-2012). 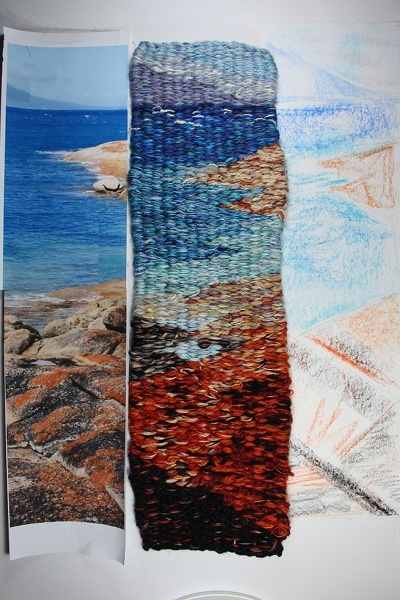 Eventually I finished with this photo of the seaweed on stones, and made a rough weaving plan. 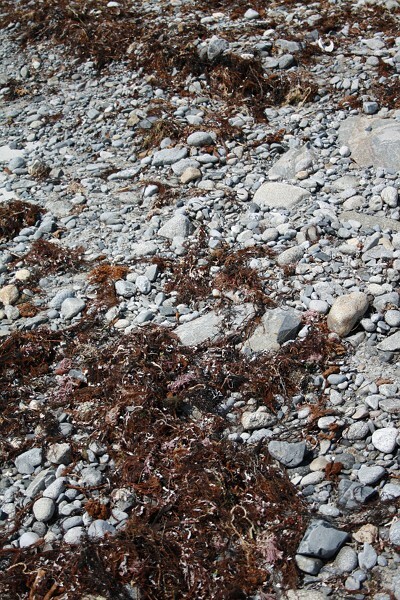 The spun newspaper could suggest the stony beach and a range of black texture effects used to give the impression of a path of seaweed sweeping across the image from foreground to background. * The piece is about 22 x 14 cm, and quite by accident reminds me of a holiday postcard. * The newspaper works well as a background-with-character. 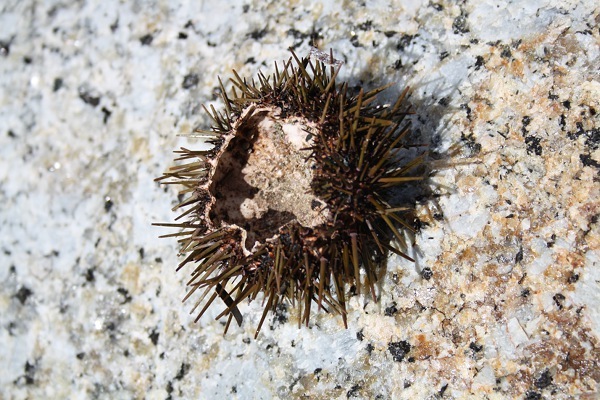 * The variety of textures, techniques and shape give the impression of movement and distance. There is insect screen, neoprene tubing and tissue paper. Techniques are plain weave, 5-end satin, soumak and ghiordes knots. * The neat top and bottom edges support the postcard idea. The bottom is a kind of chaining of the loops of warp that were over the warp rod. At the top I did some plain weave, a row of soumak to make a clean turning edge, and some more plain weave to form a hem at the back. * I really don’t like the way the warp becomes visible on the black towards the top. I wanted a smooth progress of texture. I tried a couple of other yarns to get better coverage, but the changes in colour and texture were jarring. I had been careful with my planned yarns to introduce them gradually. Better yarn selection from the start would help. A black warp could work, although this would have an impact on the background, resulting in a grid effect. 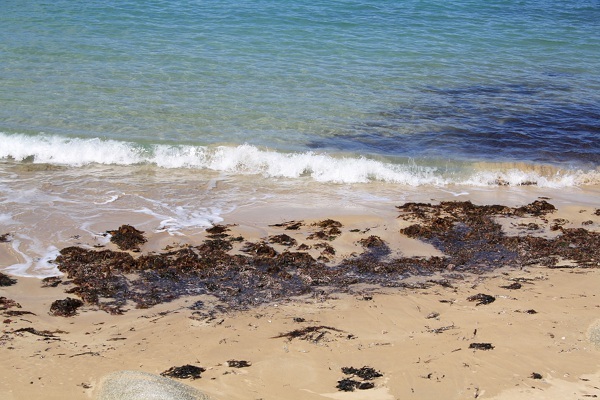 I could also try painting the warp in the planned seaweed area prior to weaving. * While I like the effect of the neoprene picks across the whole width (they create some visual continuity and provide some needed structure, as well as making it clear that this isn’t an attempt at realism), it would be interesting to vary the width of the lines from bottom to top to increase the sense of depth. * The shaping at the top doesn’t work. It’s made worse by a couple of bad choices on the slope of the curve, plus the variation in colour of the newspaper. This could be improved by practice in the technique and more considered selection of parts of newspaper to use. * I don’t think it’s apparent in the result, but I had a lot of difficulties weaving with the paper. Improved spinning technique and a wider shed on the loom would assist.